Oxford Management is a Rochester-based company that is helping commercial, senior housing, and multi family-housing by providing skilled property management for their customers. They specialize in property management and brokerage services, and with a team highly qualified personnel, Oxford Management works closely with their clients to provide professional management. Oxford Management manages property throughout Minnesota, Wisconsin, and Iowa. 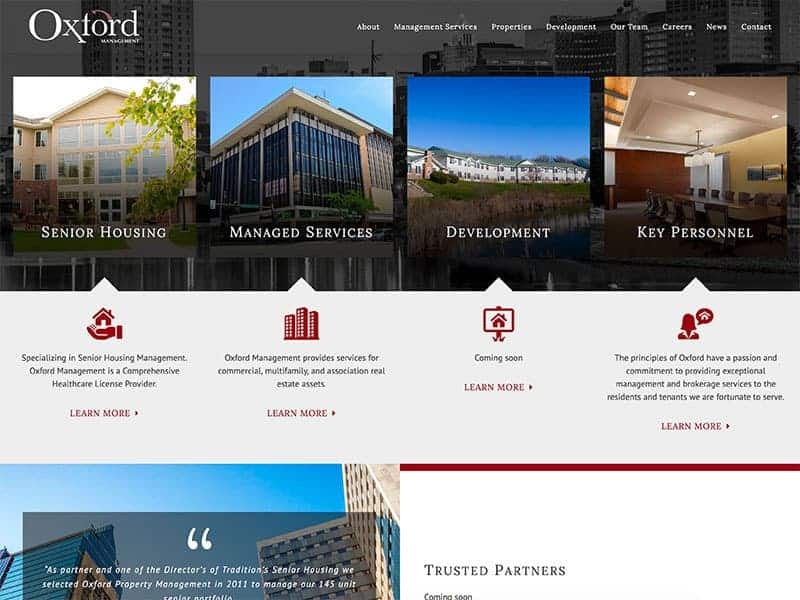 The Vision Design Team worked with Oxford Management to update the website to meet their needs. This included updating the branding by using more maroon and gold accents, updating company information, added property photography and other maintenance updates to give the site a fresh, clean look. Is it time to shake the dust off your website and give it well-deserved update? Contact our team today!